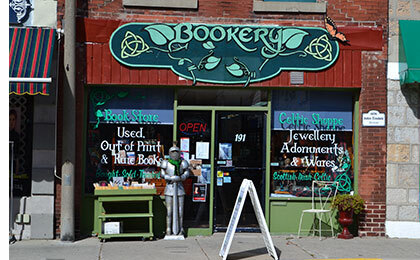 Step in the door and step back in time under the enchanting spell of The Bookery. Here you will find an impressive collection of thousands of used books, displayed on antique shelving, adding to the store’s Old World charm. Steeped in Celtic traditions, the store also carries a distinctive collection of Scottish and Irish jewellery. You’ll find unique accessories for the home too, including interesting décor, incense, essential oils and accessories. It’s different here. Come take a peek.